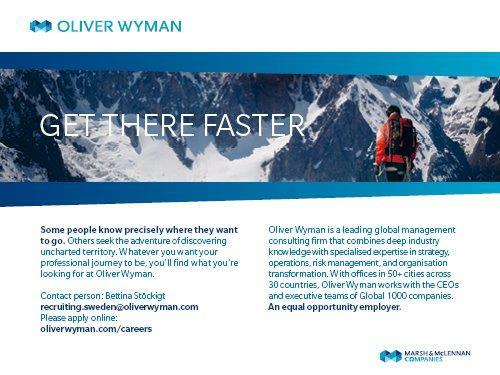 Oliver Wyman is a global leader in management consulting. With offices in 50+ cities across 30 countries, Oliver Wyman combines deep industry knowledge with specialized expertise in strategy, operations, risk management, and organization transformation. The firm’s 5,000 professionals help clients optimize their business, improve their operations and risk profile, and accelerate their organizational performance to seize the most attractive opportunities. Oliver Wyman is a wholly owned subsidiary of Marsh & McLennan Companies [NYSE: MMC].